The 2009 Winter Retreat at Pinecrest is in the works. 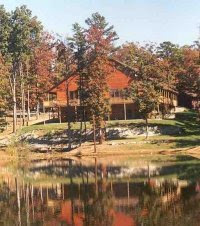 The dates for the retreat are January 16-18, 2009. The cost of the retreat will be $95.00. The speaker will be Tom Graef, missionary to Romania. Activities will include dodgepong, foosball, ping pong, bumper pool, swimming, dodgeball in the gym, Mario Cart, other games, great food from Pinecrest, and a great time getting to know our Creator. We will have registrations available at the Nov 8 Camp Party or you can email campsunago@hotmail.com to request one. All questions can be sent to campsunago@hotmail.com or you can call Mike Thebeau at 314-882-2414.